This large painting was done in quick broad brush and palette knife strokes, exploring a wet into wet study in oils, giving the objects in this image a sense of impermanence. 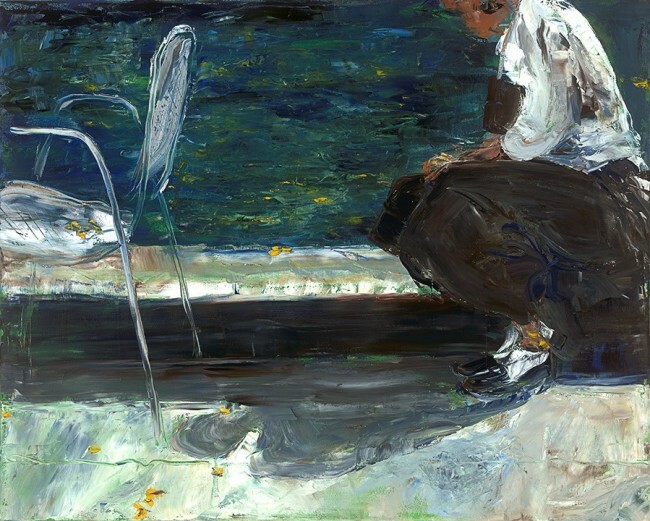 The figure in this piece has left a chair and is now sitting on the edge of a pond. Getting out of the chair represents to me letting go of a false or failed dream and moving on to find new hope. The answers are as illusive as water is holdable, but realizing Jesus’ promise of Him being living water, I can take comfort in trusting the answers will be revealed through God’s time and providence.